The Collapsible KOOZIE Dlx Golf Event Kit features cooler, ball markers, tees and golf ball and allows adding custom logo to create impressive Company Logo Products. Looking for a promotional item to complete your golf outing or tournament that your recipients would enjoy using again and again? We have got you covered with the Collapsible KOOZIE Dlx Golf Event Kit that makes your recipients happy without having to break your budget. 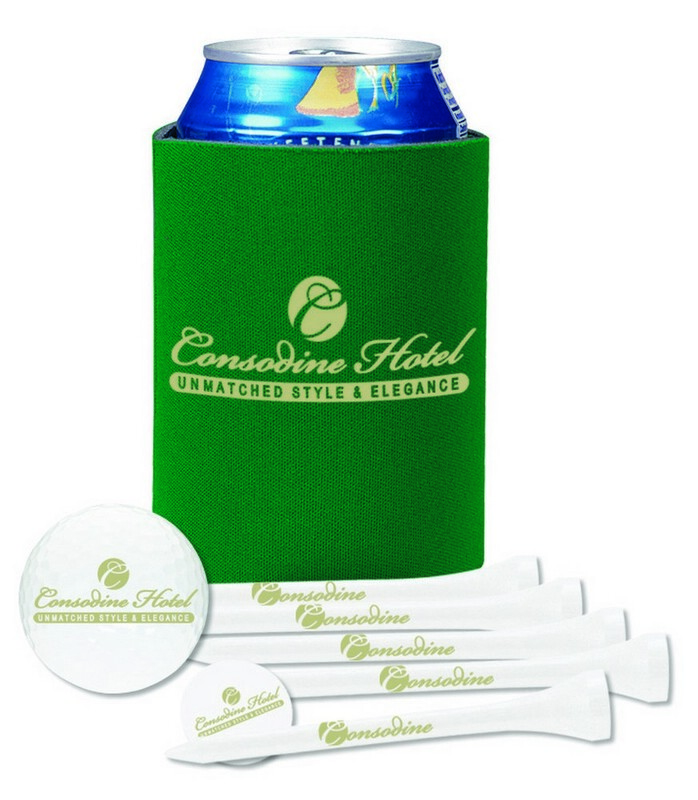 All your lucky customers would not only get a koozie that keeps that beer and drinks cold and fresh but also receive a custom printed golf ball, five imprinted tees and one printed ball marker. 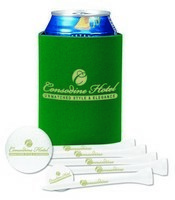 Imagine how much time, money and effort you will save by ordering this golf event kit instead of searching for individual items to make a great corporate giveaway. Customize the components with your brand logo and slogan to get multiple exposure places.